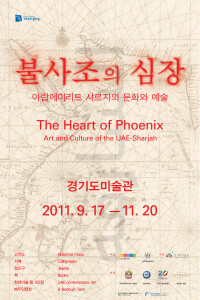 Gyeonggi Museum of Modern Art(Gyeonggi MoMA) opens a 2011 international exhibition, The Heart of Phoenix: Art and Culture of the UAE-Sharjah as a cultural exchange event called Sharjah Cultural Days in Korea in company with the Sharjah Emirate, one of seven United Arab Emirates. 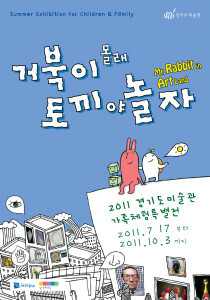 Gyeonggi Museum of Modern Art, reforming Visitors-friendly public museum, would like to invite you for special Summer exhibition for children and family 2011. 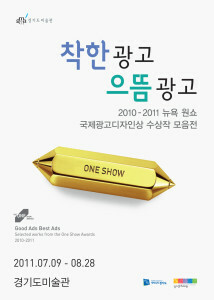 Followed by the exhibition Creativity and Innovation- Selected Works from the One Show Awards 2007, Gyeonggi Museum of Modern Art presents the second edition of One Show Award show in Korea, i.e., Selected Works from the One Show Awards 2010-2011 Good Ads, Best Ads, collaborated with the One Club, New York. 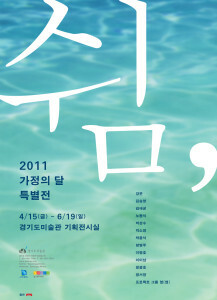 Gyeonggi Museum of Modern Art presents in this new Spring after long winter than usual. We would like to revalue of our home and layup in particular. House and home are the most precious place at the end of our day in fatigue nevertheless its size and members. In this time of month for family, we volunteer to be your shelter making an armchair ourselves for whom find out art is weary once Henry Matisse said. 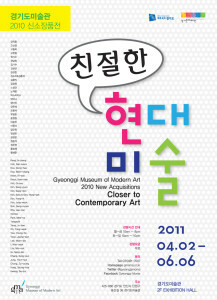 The 2010 New Acquisitions exhibition for Gyeonggi Museum of Modern Art, presented under the title, "Closer to Contemporary Art", features 30 Works Collected throughout the last year. The works collected during 2010 reflect the guiding principle of the Gyeonggi Museum of Modern Art, which seeks to represent Korean artworks of historic significance, and Works made since 1990 that reflect new paradigms and visions of the future of Korean contemporary art. At the same time, invaluable efforts were made to collect works that were considered friendly to the public, and these works will be presented in the museum's outdoor spaces. The Gyeonggi Museum of Modern Art proudly presents the exhibition "Korean Historical Conceptual Art from the 1970-80s: pal-bang-mi-in". Mapping out the museum collection since it was inaugurated in 2006, this exhibition focuses on the conceptual artworks of the 1970s and the 1980s that played a pivotal role in shaping Korean contemporary art history.